Home/Investigators and Research Centers/Investigators/Roberto Matorras, M.D., Ph.D.
Dr. Roberto Matorras is Professor and Chair of the Department of Obstetrics and Gynecology at the Medical School of The Basque Country University, Director of the Reproductive Unit of the Cruces University Hospital (Bilbao, Spain), and Coordinator for Research and Education at IVI Bilbao. He obtained his Medical Degree at the Navarra University in 1980, and his Ph.D. at the Autonomous University in Madrid 1986. He completed his residency in Obstetrics and Gynecology at the La Paz Hospital in Madrid, in 1984. 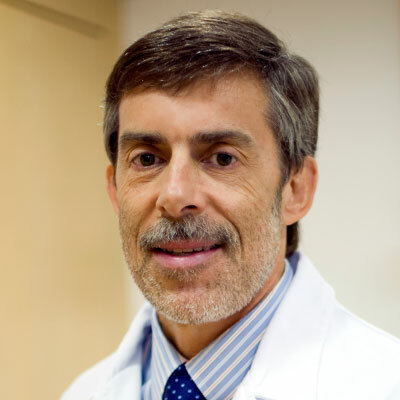 Dr. Roberto Matorras has worked at the Ramón y Cajal Hospital in Madrid as a staff gynecologist (1984-1986), at Cruces University Hospital (1986-1987 and 1988 – present) where he is the Director of the Reproductive Unit since 1998, and at the Principe de Asturias Hospital, Alcalá de Henares, Madrid (1987-1988), where he served as the Director of Gynecology section. He is Professor of Obstetrics and Gynecology at the Basque Country University since 1989, and Chairman since 2002, and Coordinator for Research and Education at IVI Bilbao since 2006. Dr. Matorras is fluent in Spanish, English, French, Italian and German. Dr. Matorras’ Research interests include endometriosis, implantation, IVF, and artificial insemination. He is the Head of the Investigation group “ Innovation in Human Reproduction”, in the center Biocruces ( Baracaldo, Vizcaya, Spain). His investigation activity has been certified as outstanding for 6 six-tear terms by the ANECA ( Spanish Agency of Quality Evaluation and Accreditation. He authored almost 400 peer-reviewed publications (109 in English, 280 in Spanish), and presented over than 500 communications in national and international meetings. In addition, he is the author of 49 chapters and editor of 9 books on Human Reproduction and/or Obstetrics and Gynecology. He has been investigator in 38 externally founded research projects, and directed 8 doctoral theses. He has contributed to the development of a patent on endometriosis diagnostics. Infertile Couples Prefer Twins: Analysis of Their Reasons and Clinical Characteristics Related to This Preference. J Reprod Infertil, 19(3):167-173, 2018. Risk of pelvic inflammatory disease after intrauterine insemination: a systematic review. Matorras R Rubio K Iglesias M Vara I Expósito A.
Revista Iberoamericana de Fertilidad, 33: 3-8, 2016.